Sébastien Duval – Jarman International K.K. Favorite Thing About Living in Japan: Nature: I love its diversity and accessibility in Japan, I appreciate its deep connection with the local culture(s) and I enjoy outdoor hot springs very much! 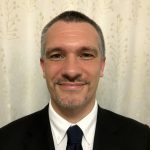 BIO: Sébastien is an experienced tour guide in Japan certified by the Tokyo Convention & Visitors Bureau and Asia Inbound Sightseeing Organization. He is also an inbound consultant with an international perspective: he’s French, he’s lived in the USA then in South Korea, was awarded his Ph.D. in Japan, has compared Western and Asian cultures at research institutes/universities, has worked on inbound projects at a Japanese marketing company, and managed inbound projects at two Japanese travel agencies. Over the years, Sébastien has mostly helped and guided (1) tourists on holidays from Europe and North America and (2) CEOs and engineers on business trips from the Middle East, Africa, and India. Thus, he’s acquired much experience regarding dietary and religious needs with various vegans, vegetarians, Buddhists, Jews, Muslims… Finally, he’s enjoyed diverse activities and landscapes from Hokkaido to Okinawa but still plans to travel around Japan during the next 2 years to discover more!